Tuesday morning held an intense, heavy session for us. It’s difficult to put into words the emotions that were roaming around the boardroom, but it was definitely necessary and it changed a lot of our own ideas we’d formed. 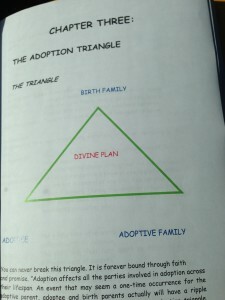 The focus for the day was “The Adoption Triangle” and it focused on the role that the birth family, the adoptive family and the child play in each other’s lives throughout the process. When we were first asked the question “If there is a birth mother involved and she would like to meet you, would you be willing to?”, we were unsure of how we felt about it. Now, keep in mind that it would only mean a short, maybe half an hour, fully supervised visit with her social worker and our social worker present. There would be no time alone at all with her. However, the thought of having a face that I would “recognize” as the biological mother of my child really worried me…from a purely selfish point of view. So, we went there with our answer…no, we wouldn’t. It’s funny how you think you have all the answers and all it takes is a couple of hours for your all your ideas to be thrown upside down. We were taken on a journey through the birth mother’s experience. The age of a birth mother can range anywhere from 14-45 years old. Whether they come straight to the agency themselves, or they come to the agency through the hospital’s social worker, they are informed of all the possible options available to them so that they can make an informed decision. Most of the time, the birth mothers want to do everything in secret, but they are encouraged to let the rest of the family in, so that everyone can be counselled. The decision to make an adoption plan for their child is usually only made after the child is born. A lot of the time, the entire pregnancy will have been kept secret too. There is a lot of focus put on the birth mother, so it’s easy to assume that the birth father doesn’t have a say in this. He does. By law, the birth father has to know about the adoption plan and agree to it. This is an incredibly difficult part for the mother, because if she was raped by someone she knows, especially if it’s family or a close friend of the family, she won’t want to disclose the name of the person for obvious reasons. However, if she doesn’t know who the father is, she can sign an affadavit stating so. What continues to amaze me is the amount of counselling that happens for the birth family, which, in my opinion, is what makes for a successful adoption. If the birth parents are underage, then their parents must assist in court and sign for them. If they refuse to inform their parents, the adoption cannot go ahead. What do you think of a mom giving her baby up for adoption and describe your feelings towards her? What do you think of a mom abandoning her baby and describe your feelings towards her? Let’s talk about abandonment for a minute. There are two categories that fall under this: Soft abandonment and Hard abandonment. Soft abandonment is where a mother will leave her baby in a place where there are people around and he/she will be safe, for example: a hospital, a public toilet. Hard abandonment is where a mother will leave her baby to die, for example: a rubbish dump. 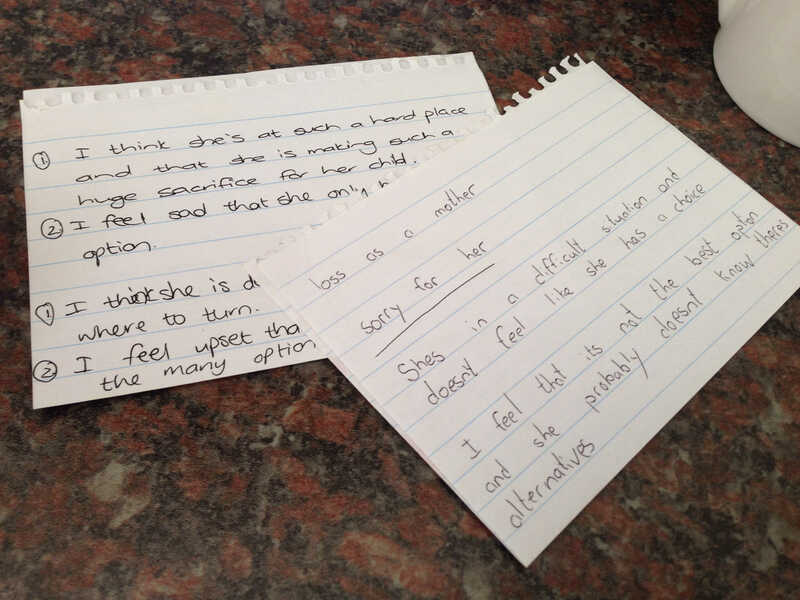 When faced with these scenarios, the above questions become a lot more difficult to answer honestly. The principle behind asking these questions is that if we harbour any feelings of resentment, anger, outrage towards someone who would leave their child on a rubbish dump, then we shouldn’t adopt a child from that background, because we will need to tell him his story, without our own emotions coming in to play. So either we would have to work through those feelings beforehand, or not go there at all. Now, before we judge someone who does that, let’s have a look at a scenario. A woman has come into South Africa from a country with much conflict and instability. Maybe she was even under attack and managed to escape. She manages to escape to South Africa illegally and finds a steady job, tolerable accommodation and the freedom she’s always longed for. One night, as she makes her way home through the inner city, she is attacked and raped. She is traumatized. As she is working through her trauma, she discovers she is also pregnant. Her world crashes down around her. This life that she has built for herself, and perhaps for a family that she may be supporting, starts seeming as if it’s slipping away. She decides that she cannot risk her’s and her family’s lives by filling in hospital administration, so she has the baby and leaves before anyone can ask her, or simply has the baby somewhere else and leaves him there. It’s terribly, terribly sad, but unfortunately the circumstances for her were overwhelming and she made what she thought to be the best decision for her and her family. Like I said, once you have scenarios, these questions become difficult to answer. After a much needed coffee break, we continued exploring the adoption triangle. One of the statements that hit me hard in this topic was that a child’s abandonment issues are aimed at the adoptive mother. My presence will always be a reminder to him of someone else’s absence. This is incredibly difficult to take in, especially when I already have so much love for him. But, they continued to encourage us that if/when that happens it does not mean that I am a bad mom, but rather that our child needs to figure out how to process the information surrounding his story. So, we will tell him his story…from the day we bring him home. He will always know where he comes from. We will always talk about his birth mom, no matter how much his questions may hurt…because it’s better for him. We will create a safe environment for him to explore the details of his story whenever he needs to. And if we can’t handle it sometimes, we will always make sure that there is someone he can go to with his questions. The most important thing for us to remember is that he needs to know his adoption story before he knows his birth story. Also, for those who may be wondering, the only ones who will know the circumstances from which he comes will be the two of us…and as he grows up, he will decide who he wants to share it with. The last exercise we faced was possibly the most difficult of all. The social worker walked around the table placing a photo of a child with a short introduction in front of each of us. Our little boy’s name was Adam and he was 8months old. His write up introduced him as shy, but he loves cuddles. He needs encouragement to eat and doesn’t like to sleep. It concluded with “I can’t wait for you to take me home”. The more I kept telling myself that this is not our child and they wouldn’t present him to us like this, the more the thoughts surrounding “what if” came creeping in. We were asked to describe how we felt about our child and whether we would be happy to take him home. After we shared with each other, they confirmed that this was not a real child up for adoption, but rather a picture from a magazine. The exercise was to be continued the following day. With the session concluded, we ate our lunch and headed back to Joburg with a lot of heaviness and a lot to process. The main part of the assessment is a series of visits made by a social worker from your adoption agency to your home. 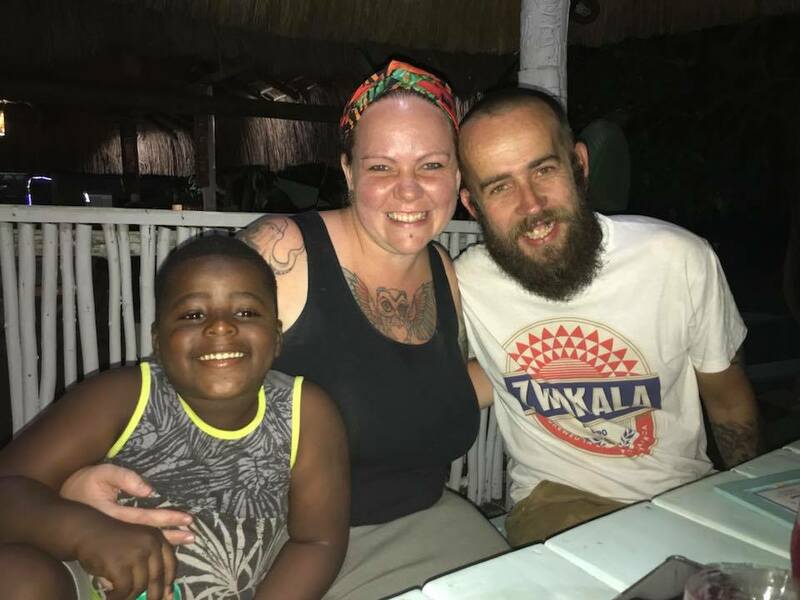 Before I went through the adoption process my main fear was being judged and subject to intense scrutiny by a stranger who would doubt my ability to parent.